Most think you have to sell something or physically perform a service to actually make money. This couldn’t be further from the truth. In fact; some of the most profitable companies in the world (Facebook, Google) make money form a free-service business model. In my mobile car washing days, before internet marketing full-time, I was always trying to get my foot in-the-door of a dealership. Having a contract with a big car dealership meant regular work. Approaching these dealerships was very hard as they never had time for cold-callers and nobody like being sold to. I had to figure out a way to get their attention so instead of saying “I wash cars, do you have time to discuss using me as your main cleaner?” I’d simply introduce myself and my company, and say “Do you have any vehicles you’d like cleaned? I’d love to give you a FREE demo.” After doing a quick/great job I’d simply leave my business cards and wish them a good day. Getting my foot in the door was the first step of my business approach and I stood out from the rest because unlike the other 20 valeters that had been there that month.. I offered them something completely different and FREE. eHarmony and Match.com are all major players in the dating niche and all offer a paid service to find your partner. Mingle2 offers a completely free dating service and within its first year of launch had thousands of members and was aquired by a rival company for a lot of money. Imgur founder, Alan Schaaf, noticed many of the big players in the photo-sharing/hosting niche were doing a crappy job. He decided to put together a free image host that was powerful, easy to use, and free. Imgur was instantly popular. Although your main service is free, there’s still plenty of ways to monetize and make a profit. Advertising (the obvious choice). If you get enough traffic you can make a lot of money through advertisers. For mainstream websites try Google Adsense, for blogs try BuySellAds. Upgrades. Gumtree (free classifieds from the eBay family) offers you an easy way to sell your stuff for free. They make most profit from listing-upgrades; extended ads and bold titles etc. Affiliate Marketing. you can always let others sell on your webspace to your visitors via affiliate marketing. Pick a related product from Clickbank and get a commission for every sale or head over to NeverBlue and find a suitable CPA ad. 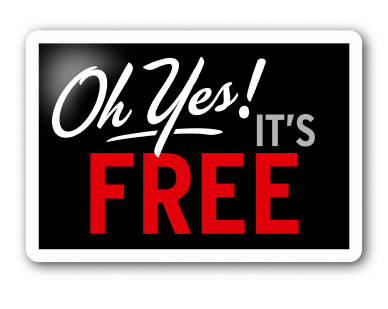 Start looking for niches, services and apps that you can dominate with Free. This entry was posted in Business by Lou. Bookmark the permalink.